Recently Google Machine Perception researchers, in collaboration with Daydream Labs and YouTube Spaces, presented a solution for virtual headset ‘removal’ for mixed reality in order to create a more rich and engaging VR experience. While that work could infer eye-gaze directions and blinks, enabled by a headset modified with eye-tracking technology, a richer set of facial expressions — which are key to understanding a person's experience in VR, as well as conveying important social engagement cues — were missing. Today we present an approach to infer select facial action units and expressions entirely by analyzing a small part of the face while the user is engaged in a virtual reality experience. Specifically, we show that images of the user’s eyes captured from an infrared (IR) gaze-tracking camera within a VR headset are sufficient to infer at least a subset of facial expressions without the use of any external cameras or additional sensors. Left: A user wearing a VR HMD modified with eye-tracking used for expression classification (Note that no external camera is used in our method; this is just for visualization). Right: inferred expression from eye images using our model. A video demonstrating the work can be seen here. We use supervised deep learning to classify facial expressions from images of the eyes and surrounding areas, which typically contain the iris, sclera, eyelids and may include parts of the eyebrows and top of cheeks. Obtaining large scale annotated data from such novel sensors is a challenging task, hence we collected training data by capturing 46 subjects while performing a set of facial expressions. To perform expression classification, we fine-tuned a variant of the widespread Inception architecture with TensorFlow using weights from a model trained to convergence on Imagenet. 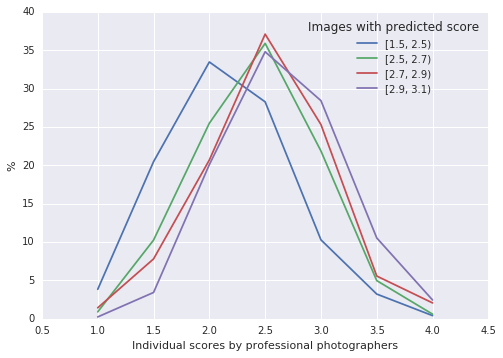 We attempted to partially remove variance due to differences in participant appearance (i.e., individual differences that do not depend on expression), inspired by the standard practice of mean image subtraction. 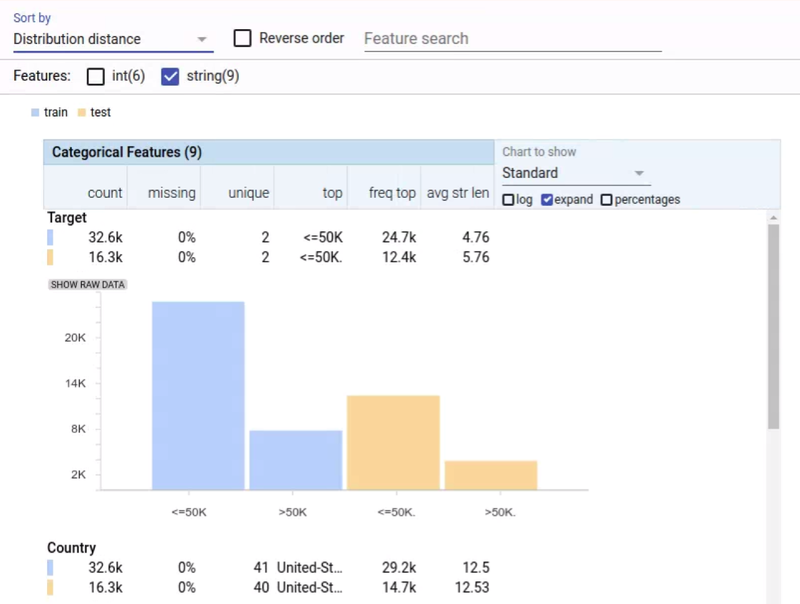 Since this variance removal occurs within-subject, it is effectively personalization. Further details, along with examples of eye-images, and results are presented in our accompanying paper. We demonstrate that the information required to classify a variety of facial expressions is reliably present in IR eye images captured by a commercial HMD sensor, and that this information can be decoded using a CNN-based method, even though classifying facial expressions from eye-images alone is non-trivial even for humans. Our model inference can be performed in real-time, and we show this can be used to generate expressive avatars in real-time, which can function as an expressive surrogate for users engaged in VR. This interaction mechanism also yields a more intuitive interface for sharing expression in VR as opposed to gestures or keyboard inputs. The ability to capture a user’s facial expressions using existing eye-tracking cameras enables a fully mobile solution to facial performance capture in VR, without additional external cameras. This technology extends beyond animating cartoon avatars; it could be used to provide a richer headset removal experience, enhancing communication and social interaction in VR by transmitting far more authentic and emotionally textured information. The research described in this post was performed by Steven Hickson (as an intern), Nick Dufour, Avneesh Sud, Vivek Kwatra and Irfan Essa. We also thank Hayes Raffle and Alex Wong from Daydream, and Chris Bregler, Sergey Ioffe and authors of TF-Slim from Google Research for their guidance and suggestions. This technology, along with headset removal, will be demonstrated at Siggraph 2017 Emerging Technologies. Wait, what? Why is Google interested in plasma physics? Google is always interested in solving complex engineering problems, and few are more complex than fusion. Physicists have been trying since the 1950s to control the fusion of hydrogen atoms into helium, which is the same process that powers the Sun. The key to harnessing this power is to confine hydrogen plasmas for long enough to get more energy out from fusion reactions than was put in. This point is called “breakeven.” If it works, it would represent a technological breakthrough, and could provide an abundant source of zero-carbon energy. There are currently several large academic and government research efforts in fusion. 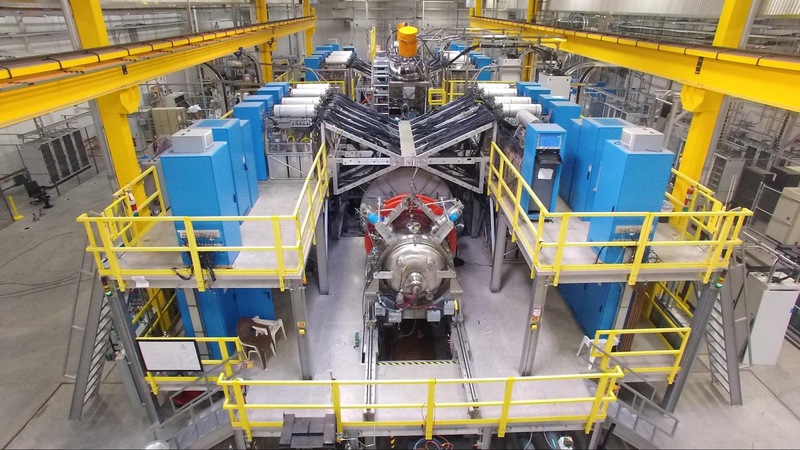 Just to rattle off a few, in plasma fusion there are tokamak machines like ITER and stellarator machines like Wendelstein 7-X. 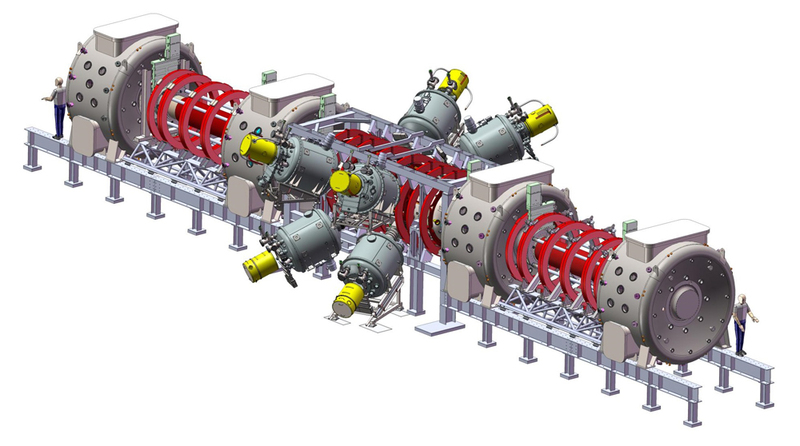 The stellarator design actually goes back to 1951, so physicists have been working on this for a while. Oh yeah, and if you like giant lasers, there’s the National Ignition Facility which users lasers to generate X-rays to generate fusion reactions. So far, none of these has gotten to the economic breakeven point. All of these efforts involve complex experiments with many variables, providing an opportunity for Google to help, with our strength in computing and machine learning. Today, we’re publishing “Achievement of Sustained Net Plasma Heating in a Fusion Experiment with the Optometrist Algorithm” in Scientific Reports. This paper describes the first results of Google’s collaboration with the physicists and engineers at Tri Alpha Energy, taking a step towards the breakeven goal. Did you really just say that you got to fire a plasma collider? Yeah. Tri Alpha Energy has a unique scheme for plasma confinement called a field-reversed configuration that’s predicted to get more stable as the energy goes up, in contrast to other methods where plasmas get harder to control as you heat them. Tri Alpha built a giant ionized plasma machine, C-2U, that fills an entire warehouse in an otherwise unassuming office park. The plasma that this machine generates and confines exhibits all kinds of highly nonlinear behavior. 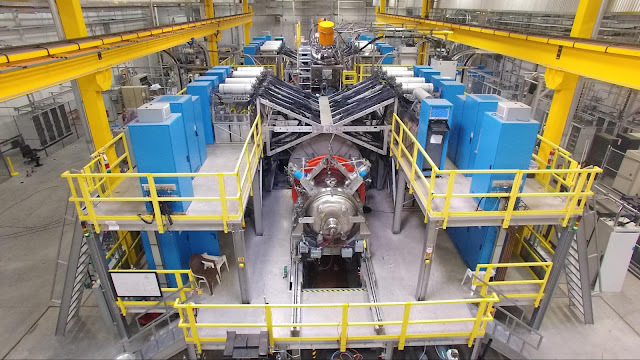 The machine itself pushes the envelope of how much electrical power can be applied to generate and confine the plasma in such a small space over such a short time. It’s a complex machine with more than 1000 knobs and switches, an investment (not ours!) in exploring clean energy north of $100 million. This is a high-stakes optimization problem, dealing with both plasma performance and equipment constraints. This is where Google comes in. Wait, why not just simulate what will happen? Isn’t this simple physics? The “simple” simulations using magnetohydrodynamics don’t really apply. Even if these machines operated in that limit, which they very much don’t, the simulations make fluid dynamics simulations look easy! The reality is much more complicated, as the ion temperature is three times larger than the electron temperature, so the plasma is far out of thermal equilibrium, also, the fluid approximation is totally invalid, so you have to track at least some of the trillion+ individual particles, so the whole thing is beyond what we know how to do even with Google-scale compute resources. So why are we doing this? Real experiments! With atoms not bits! At Google we love to run experiments and optimize things. We thought it would be a great challenge to see if we could help Tri Alpha. They run a plasma “shot” on the C-2U machine every 8 minutes. Each shot consists of creating two spinning blobs of plasma in the vacuum sealed innards of C-2U, smashing them together at over 600,000 miles per hour, creating a bigger, hotter, spinning football of plasma. Then they blast it continuously with particle beams (actually neutral hydrogen atoms) to keep it spinning. They hang on to the spinning football with magnetic fields for as long as 10 milliseconds. They’re trying to experimentally verify that these advanced beam driven field-reversed plasma configurations behave as expected by theory. If they do, this scheme could lead to net-energy-out fusion. Now 8 minutes sounds like a long time (which is the time it takes for C-2U to cool, recharge, and get ready for another 10 ms shot), but when you’re sitting in the control room during an experimental campaign, it goes by really quickly. There are a lot of sensor outputs to look at, to try to figure out how the plasma was behaving. Before you know it, the power supplies are charged again, and they’re ready for another go! What was that about optimization? What are you optimizing? So we boil the problem down to “let’s find plasma behaviors that an expert human plasma physicist thinks are interesting, and let’s not break the machine when we’re doing it.” We developed the Optometrist Algorithm, which is sort of a Markov Chain Monte Carlo (MCMC) where the likelihood function being explored is in the plasma physicist’s mind rather than being explicitly written down. Just like getting an eyeglass prescription, the algorithm presents the expert human with machine settings and the associated outcomes. They can just use their judgement on what is interesting, and what is unhealthy for the machine. These could be “That initial collision looked really strong!” or “The edge biasing is actually working well now!” or “Wow, that was awesome, but the electrode current was way too high, let’s not do that again!” The key improvement we provided was a technique to search the high-dimensional space of machine parameters efficiently. Oh, I like MCMC, it’s like the best thing ever! I knew you’d like that bit. Using this technique, we actually found something really interesting. As we describe in our paper, we found a regime where the neutral particle beams dumping energy into the plasma were able to completely balance the cooling losses, and the total energy in the plasma actually went up after formation. It was only for about 2 milliseconds, but still, it was a first! Since rising energy due to neutral beam heating was not necessarily expected for C-2U, it would have been difficult to plug into an objective function. We really needed a human expert to notice. This was a classic case of humans and computers doing a better job together than either could have separately. You know how it is — when you think you have an optimization problem, and you optimize the objective, you usually just look at the result and say, “No no no, that’s not what I meant,” and you add some other term and repeat until you get sick of it? That hasn’t happened to me. This week. Yet. Yeah, so we just cut out that iteration and let the expert human use their judgment. This learning from human preferences is becoming a thing. Google and Tri Alpha made a pretty good team for it, for a really important problem. So actually, Tri Alpha learned everything they could have from C-2U and then dismantled it. They built a new machine called Norman (after their late co-founder Norman Rostoker) in the same warehouse. It’s much more powerful both in plasma acceleration and in neutral particle beams. It also has a more sophisticated system to confine the plasma in the central region. The pressure vessel, accelerators, and banks of capacitors and power supplies cover the building’s concrete floor. They just achieved “first plasma” on it. They’re hoping, with our help, to verify this theoretical prediction that the plasma will actually behave better in the “burning plasma” regime. If they can do that over the next 18 months, it will be a lot more likely that the field-reversed configuration is a viable approach for breakeven fusion. In that case, Tri Alpha will try to build their follow-on design, an actual demonstration power generator. That one won’t fit in their warehouse! On the Google side, we wish to thank John Platt, Michael Dikovsky, Patrick Riley and Ross Koningstein for their significant contributions to this work. We thank the Google Accelerated Science team for their continual support. We are also grateful to the entire team at Tri Alpha for giving us the opportunity to try our hand at optimization for this crucially important problem. Machine learning can allow robots to acquire complex skills, such as grasping and opening doors. However, learning these skills requires us to manually program reward functions that the robots then attempt to optimize. In contrast, people can understand the goal of a task just from watching someone else do it, or simply by being told what the goal is. We can do this because we draw on our own prior knowledge about the world: when we see someone cut an apple, we understand that the goal is to produce two slices, regardless of what type of apple it is, or what kind of tool is used to cut it. Similarly, if we are told to pick up the apple, we understand which object we are to grab because we can ground the word “apple” in the environment: we know what it means. These are semantic concepts: salient events like producing two slices, and object categories denoted by words such as “apple.” Can we teach robots to understand semantic concepts, to get them to follow simple commands specified through categorical labels or user-provided examples? In this post, we discuss some of our recent work on robotic learning that combines experience that is autonomously gathered by the robot, which is plentiful but lacks human-provided labels, with human-labeled data that allows a robot to understand semantics. We will describe how robots can use their experience to understand the salient events in a human-provided demonstration, mimic human movements despite the differences between human robot bodies, and understand semantic categories, like “toy” and “pen”, to pick up objects based on user commands. In the first set of experiments, which appear in our paper Unsupervised Perceptual Rewards for Imitation Learning, our is aim is to enable a robot to understand a task, such as opening a door, from seeing only a small number of unlabeled human demonstrations. By analyzing these demonstrations, the robot must understand what is the semantically salient event that constitutes task success, and then use reinforcement learning to perform it. 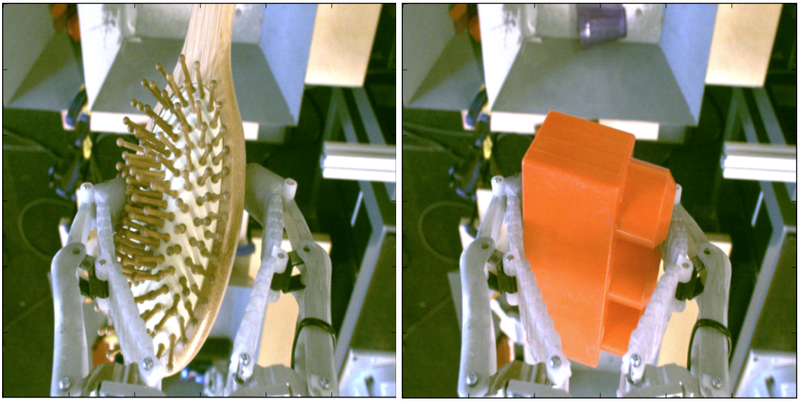 Examples of human demonstrations (left) and the corresponding robotic imitation (right). Unsupervised learning on very small datasets is one of the most challenging scenarios in machine learning. To make this feasible, we use deep visual features from a large network trained for image recognition on ImageNet. Such features are known to be sensitive to semantic concepts, while maintaining invariance to nuisance variables such as appearance and lighting. 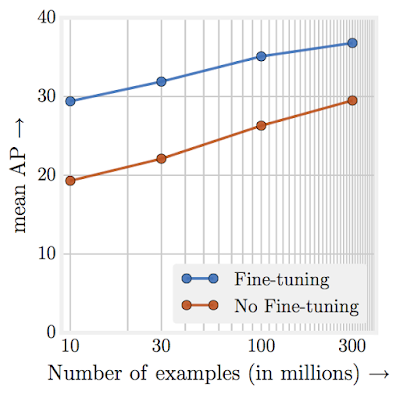 We use these features to interpret user-provided demonstrations, and show that it is indeed possible to learn reward functions in an unsupervised fashion from a few demonstrations and without retraining. Example of reward functions learned solely from observation for the door opening tasks. Rewards progressively increase from zero to the maximum reward as a task is completed. 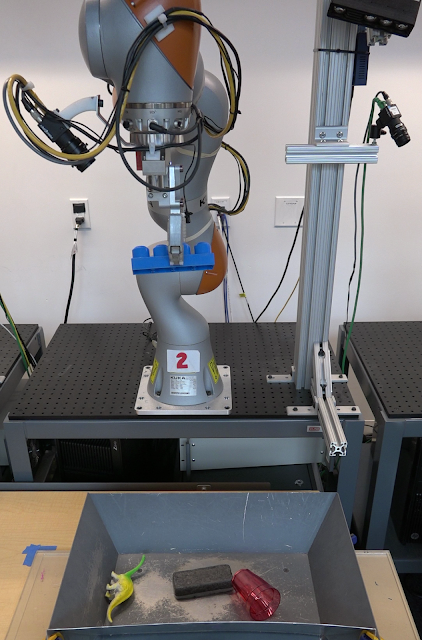 After learning a reward function from observation only, we use it to guide a robot to learn a door opening task, using only the images to evaluate the reward function. With the help of an initial kinesthetic demonstration that succeeds about 10% of the time, the robot learns to improve to 100% accuracy using the learned reward function. Emulating human movements with self-supervision and imitation. In Time-Contrastive Networks: Self-Supervised Learning from Multi-View Observation, we propose a novel approach to learn about the world from observation and demonstrate it through self-supervised pose imitation. Our approach relies primarily on co-occurrence in time and space for supervision: by training to distinguish frames from different times of a video, it learns to disentangle and organize reality into useful abstract representations. In a pose imitation task for example, different dimensions of the representation may encode for different joints of a human or robotic body. Rather than defining by hand a mapping between human and robot joints (which is ambiguous in the first place because of physiological differences), we let the robot learn to imitate in an end-to-end fashion. When our model is simultaneously trained on human and robot observations, it naturally discovers the correspondence between the two, even though no correspondence is provided. We thus obtain a robot that can imitate human poses without having ever been given a correspondence between humans and robots. Self-supervised human pose imitation by a robot. A striking evidence of the benefits of learning end-to-end is the many-to-one and highly non-linear joints mapping shown above. In this example, the up-down motion involves many joints for the human while only one joint is needed for the robot. We show that the robot has discovered this highly complex mapping on its own, without any explicit human pose information. In our semantic grasping setup, the robotic arm is tasked with picking up an object corresponding to a user-provided semantic category (e.g. Legos). To learn how to perform semantic grasping, our robots first gather a large dataset of grasping data by autonomously attempting to pick up a large variety of objects, as detailed in our previous post and prior work. This data by itself can allow a robot to pick up objects, but doesn’t allow it to understand how to associate them with semantic labels. To enable an understanding of semantics, we again enlist a modest amount of human supervision. Each time a robot successfully grasps an object, it presents it to the camera in a canonical pose, as illustrated below. The robot presents objects to the camera after grasping. These images can be used to label which object category was picked up. A subset of these images is then labeled by human labelers. Since the presentation images show the object in a canonical pose, it is easy to then propagate these labels to the remaining presentation images by training a classifier on the labeled examples. The labeled presentation images then tell the robot which object was actually picked up, and it can associate this label, in hindsight, with the images that it observed while picking up that object from the bin. Our experiments show how limited semantically labeled data can be combined with data that is collected and labeled automatically by the robots, in order to enable robots to understand events, object categories, and user demonstrations. In the future, we might imagine that robotic systems could be trained with a combination of user-annotated data and ever-increasing autonomously collected datasets, improving robotic capability and easing the engineering burden of designing autonomous robots. Furthermore, as robotic systems collect more and more automatically annotated data in the real world, this data can be used to improve not just robotic systems, but also systems for computer vision, speech recognition, and natural language processing that can all benefit from such large auxiliary data sources. Of course, we are not the first to consider the intersection of robotics and semantics. Extensive prior work in natural language understanding, robotic perception, grasping, and imitation learning has considered how semantics and action can be combined in a robotic system. However, the experiments we discussed above might point the way to future work into combining self-supervised and human-labeled data in the context of autonomous robotic systems. The research described in this post was performed by Pierre Sermanet, Kelvin Xu, Corey Lynch, Jasmine Hsu, Eric Jang, Sudheendra Vijayanarasimhan, Peter Pastor, Julian Ibarz, and Sergey Levine. We also thank Mrinal Kalakrishnan, Ali Yahya, and Yevgen Chebotar for developing the policy learning framework used for the door task, and John-Michael Burke for conducting experiments for semantic grasping. Unsupervised Perceptual Rewards for Imitation Learning was presented at RSS 2017 by Kelvin Xu, and Time-Contrastive Networks: Self-Supervised Learning from Multi-View Observation will be presented this week at the CVPR Workshop on Deep Learning for Robotic Vision. From July 21-26, Honolulu, Hawaii hosts the 2017 Conference on Computer Vision and Pattern Recognition (CVPR 2017), the premier annual computer vision event comprising the main conference and several co-located workshops and tutorials. As a leader in computer vision research and a Platinum Sponsor, Google will have a strong presence at CVPR 2017 — over 250 Googlers will be in attendance to present papers and invited talks at the conference, and to organize and participate in multiple workshops. If you are attending CVPR this year, please stop by our booth and chat with our researchers who are actively pursuing the next generation of intelligent systems that utilize the latest machine learning techniques applied to various areas of machine perception. Our researchers will also be available to talk about and demo several recent efforts, including the technology behind Headset Removal for Virtual and Mixed Reality, Image Compression with Neural Networks, Jump, TensorFlow Object Detection API and much more. You can learn more about our research being presented at CVPR 2017 in the list below (Googlers highlighted in blue). Last year we introduced Open Images, a collaborative release of ~9 million images annotated with labels spanning over 6000 object categories, designed to be a useful dataset for machine learning research. The initial release featured image-level labels automatically produced by a computer vision model similar to Google Cloud Vision API, for all 9M images in the training set, and a validation set of 167K images with 1.2M human-verified image-level labels. 1.2M bounding-boxes around objects for 600 categories on the training set. These have been produced semi-automatically by an enhanced version of the technique outlined in , and are all human-verified. Complete bounding-box annotation for all object instances of the 600 categories on the validation set, all manually drawn (830K boxes). The bounding-box annotations in the training and validations sets will enable research on object detection on this dataset. The 600 categories offer a broader range than those in the ILSVRC and COCO detection challenges, and include new objects such as fedora hat and snowman. 4.3M human-verified image-level labels on the training set (over all categories). This will enable large-scale experiments on object classification, based on a clean training set with reliable labels. Annotated images from the Open Images dataset. Left: FAMILY MAKING A SNOWMAN by mwvchamber. Right: STANZA STUDENTI.S.S. ANNUNZIATA by ersupalermo. Both images used under CC BY 2.0 license. See more examples here. We hope that this update to Open Images will stimulate the broader research community to experiment with object classification and detection models, and facilitate the development and evaluation of new techniques. Last year, we launched Motion Stills, an iOS app that stabilizes your Live Photos and lets you view and share them as looping GIFs and videos. Since then, Motion Stills has been well received, being listed as one of the top apps of 2016 by The Verge and Mashable. However, from its initial release, the community has been asking us to also make Motion Stills available for Android. We listened to your feedback and today, we're excited to announce that we’re bringing this technology, and more, to devices running Android 5.1 and later! Motion Stills on Android: Instant stabilization on your device. With Motion Stills on Android we built a new recording experience where everything you capture is instantly transformed into delightful short clips that are easy to watch and share. You can capture a short Motion Still with a single tap like a photo, or condense a longer recording into a new feature we call Fast Forward. In addition to stabilizing your recordings, Motion Stills on Android comes with an improved trimming algorithm that guards against pocket shots and accidental camera shakes. All of this is done during capture on your Android device, no internet connection required! For this release, we redesigned our existing iOS video processing pipeline to use a streaming approach that processes each frame of a video as it is being recorded. By computing intermediate motion metadata, we are able to immediately stabilize the recording while still performing loop optimization over the full sequence. All this leads to instant results after recording — no waiting required to share your new GIF. Capture using our streaming pipeline gives you instant results. In order to display your Motion Stills stream immediately, our algorithm computes and stores the necessary stabilizing transformation as a low resolution texture map. We leverage this texture to apply the stabilization transform using the GPU in real-time during playback, instead of writing a new, stabilized video that would tax your mobile hardware and battery. Fast Forward allows you to speed up and condense a longer recording into a short, easy to share clip. The same pipeline described above allows Fast Forward to process up to a full minute of video, right on your phone. You can even change the speed of playback (from 1x to 8x) after recording. To make this possible, we encode videos with a denser I-frame spacing to enable efficient seeking and playback. We also employ additional optimizations in the Fast Forward mode. 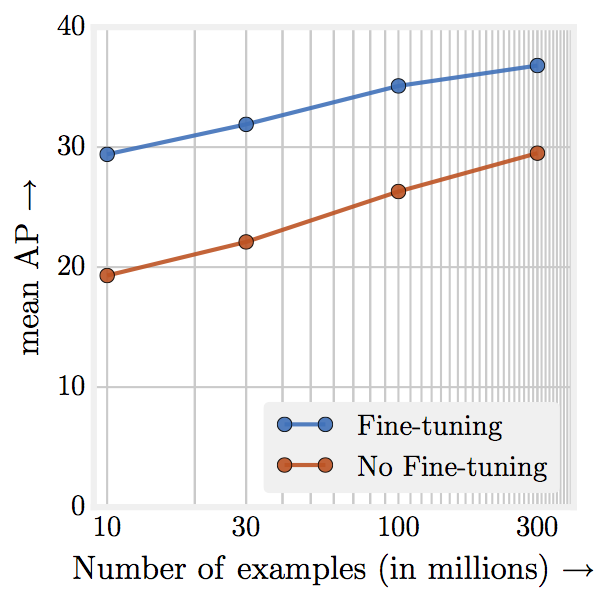 For instance, we apply adaptive temporal downsampling in the linear solver and long-range stabilization for smooth results over the whole sequence. Fast Forward condenses your recordings into easy to share clips. Motion Stills is an app for us to experiment and iterate quickly with short-form video technology, gathering valuable feedback along the way. 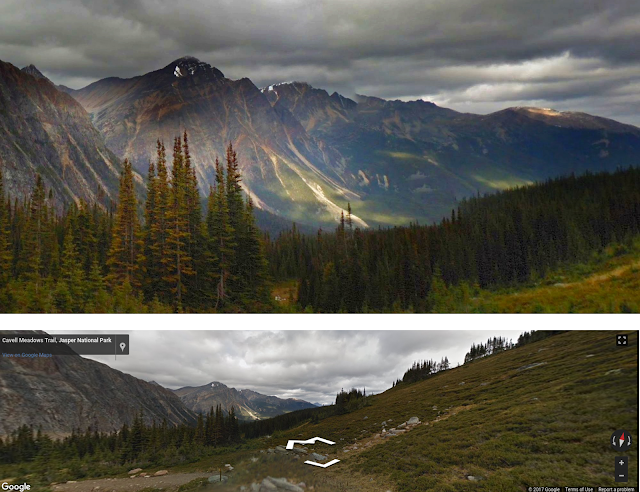 The tools our users find most fun and useful may be integrated later on into existing products like Google Photos. Download Motion Stills for Android from the Google Play store—available for mobile phones running Android 5.1 and later—and share your favorite clips on social media with hashtag #motionstills. 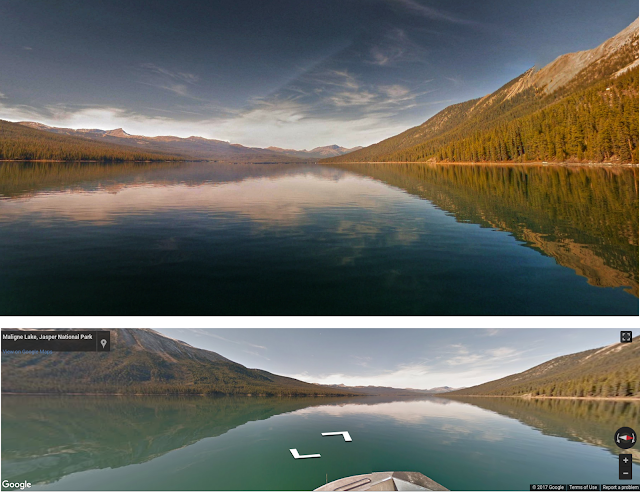 Motion Stills would not have been possible without the help of many Googlers. We want to especially acknowledge the work of Matthias Grundmann in advancing our stabilization technology, as well as our UX and interaction designers Jacob Zukerman, Ashley Ma and Mark Bowers. There has been remarkable success in the field of computer vision over the past decade, much of which can be directly attributed to the application of deep learning models to this machine perception task. Furthermore, since 2012 there have been significant advances in representation capabilities of these systems due to (a) deeper models with high complexity, (b) increased computational power and (c) availability of large-scale labeled data, much of which is publicly available. 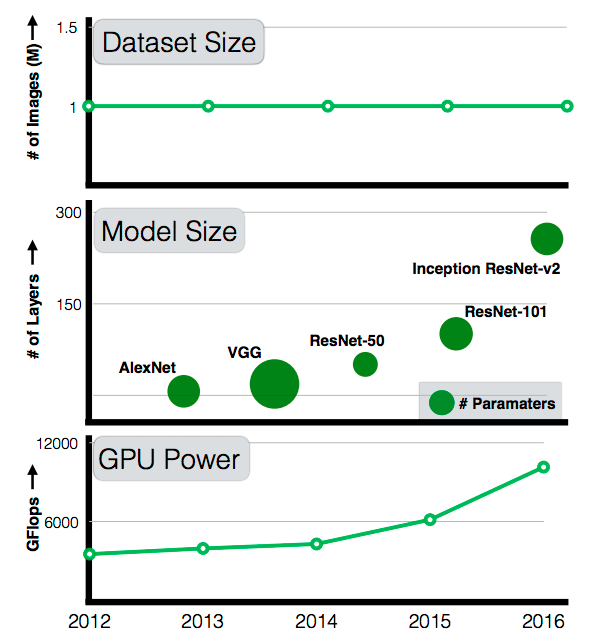 And while every year we get further increases in computational power and the model complexity (from 7-layer AlexNet to 101-layer ResNet), available datasets have not scaled accordingly. A 101-layer ResNet with significantly more capacity than AlexNet is still trained with the same 1M images from ImageNet circa 2011. As researchers, we have always wondered: if we scale up the amount of training data 10x, will the accuracy double? How about 100x or maybe even 300x? Will the accuracy plateau or will we continue to see increasing gains with more and more data? 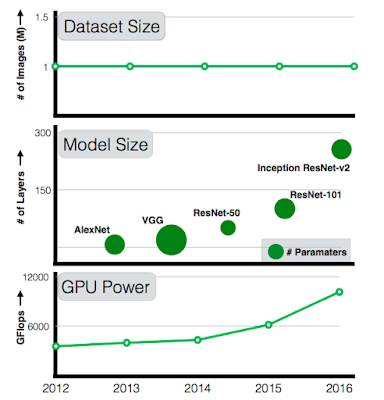 While GPU computation power and model sizes have continued to increase over the last five years, the size of the largest training dataset has surprisingly remained constant. 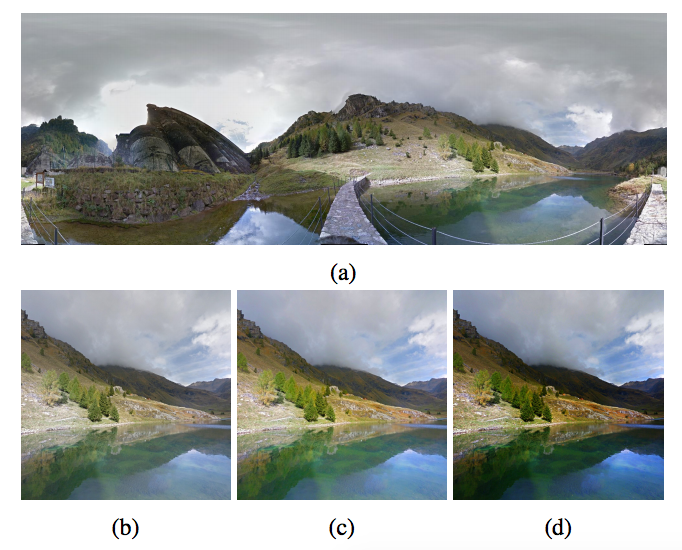 In our paper, “Revisiting Unreasonable Effectiveness of Data in Deep Learning Era”, we take the first steps towards clearing the clouds of mystery surrounding the relationship between `enormous visual data' and deep learning for computer vision. Our goal was to explore: (a) if visual representations can be still improved by feeding more and more images with noisy labels to currently existing algorithms; (b) the nature of the relationship between data and performance on standard vision tasks such as classification, object detection and image segmentation; (c) state-of-the-art models for all the tasks in computer vision using large-scale learning. Of course, the elephant in the room is where can we obtain a dataset that is 300x larger than ImageNet? 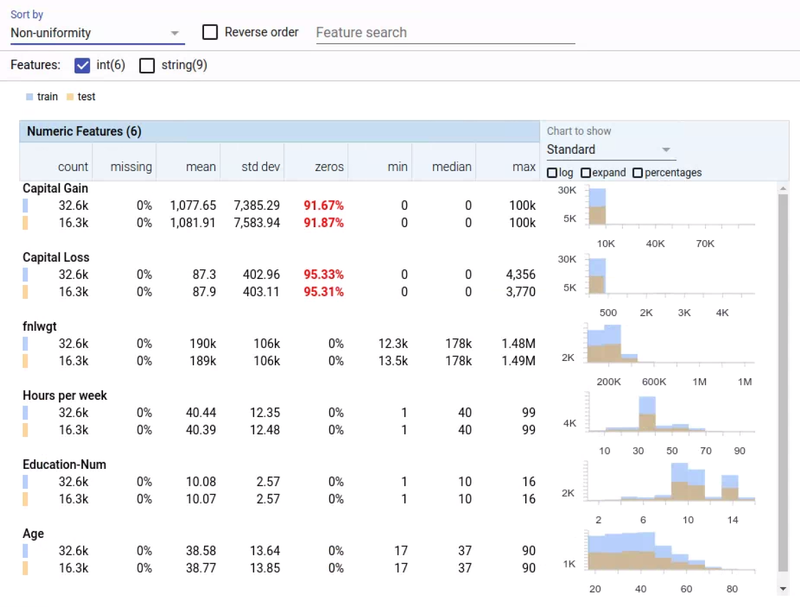 At Google, we have been continuously working on building such datasets automatically to improve computer vision algorithms. Specifically, we have built an internal dataset of 300M images that are labeled with 18291 categories, which we call JFT-300M. 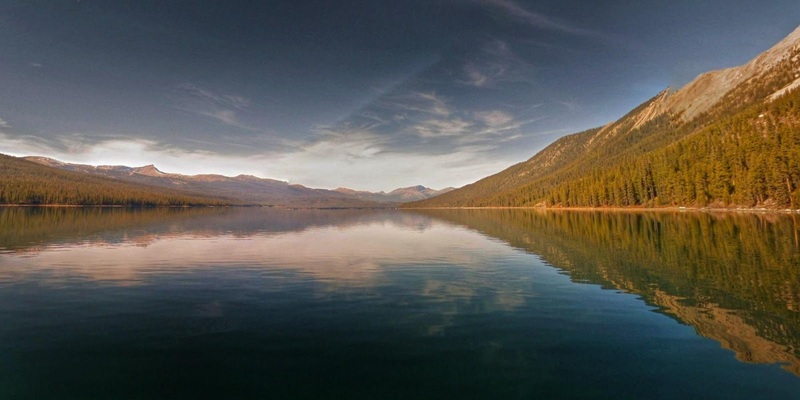 The images are labeled using an algorithm that uses complex mixture of raw web signals, connections between web-pages and user feedback. This results in over one billion labels for the 300M images (a single image can have multiple labels). Of the billion image labels, approximately 375M are selected via an algorithm that aims to maximize label precision of selected images. However, there is still considerable noise in the labels: approximately 20% of the labels for selected images are noisy. Since there is no exhaustive annotation, we have no way to estimate the recall of the labels. 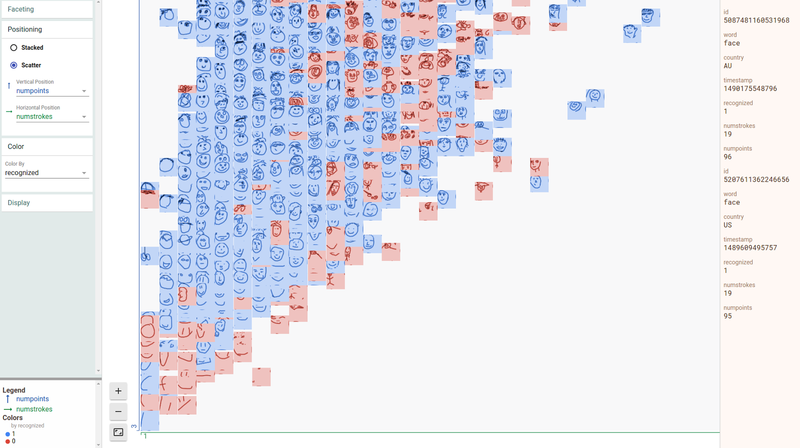 Better Representation Learning Helps. Our first observation is that large-scale data helps in representation learning which in-turn improves the performance on each vision task we study. Our findings suggest that a collective effort to build a large-scale dataset for visual pretraining is important. It also suggests a bright future for unsupervised and semi-supervised representation learning approaches. It seems the scale of data continues to overpower noise in the label space. Performance increases logarithmically based on volume of training data. We find there is a logarithmic relationship between performance on vision tasks and the amount of training data used for representation learning. Object detection performance when pre-trained on different subsets of JFT-300M from scratch. x-axis is the dataset size in log-scale, y-axis is the detection performance in mAP@[.5,.95] on COCO-minival subset. Capacity is Crucial. 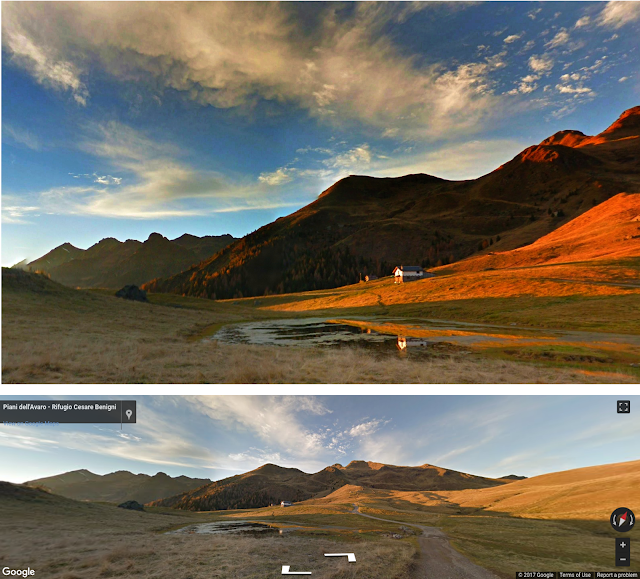 We also observe that to fully exploit 300M images, one needs higher capacity (deeper) models. For example, in case of ResNet-50 the gain on COCO object detection benchmark is much smaller (1.87%) compared to (3%) when using ResNet-152. New state of the art results. Our paper presents new state-of-the-art results on several benchmarks using the models learned from JFT-300M. For example, a single model (without any bells and whistles) can now achieve 37.4 AP as compared to 34.3 AP on the COCO detection benchmark. 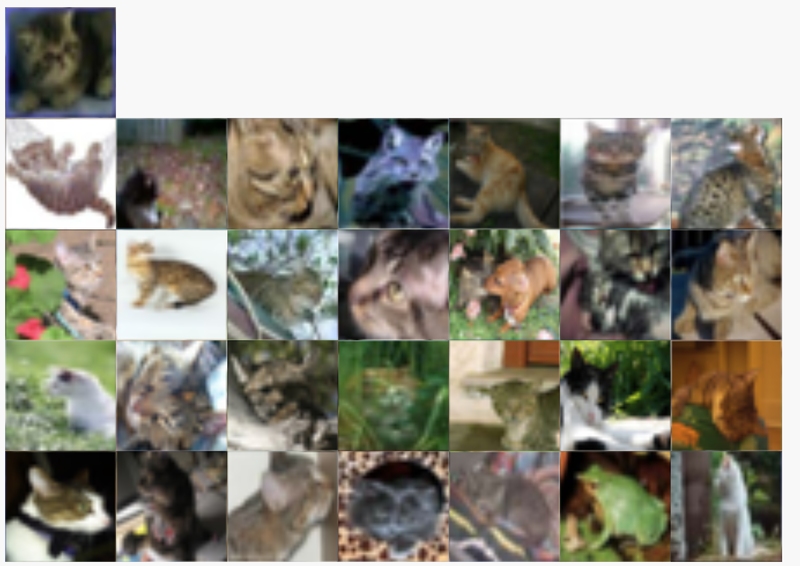 It is important to highlight that the training regime, learning schedules and parameters we used are based on our understanding of training ConvNets with 1M images from ImageNet. Since we do not search for the optimal set of hyper-parameters in this work (which would have required considerable computational effort), it is highly likely that these results are not the best ones you can obtain when using this scale of data. Therefore, we consider the quantitative performance reported to be an underestimate of the actual impact of data for all reported image volumes. This work does not focus on task-specific data, such as exploring if more bounding boxes affects model performance. We believe that obtaining large scale task-specific data should be the focus of future study. 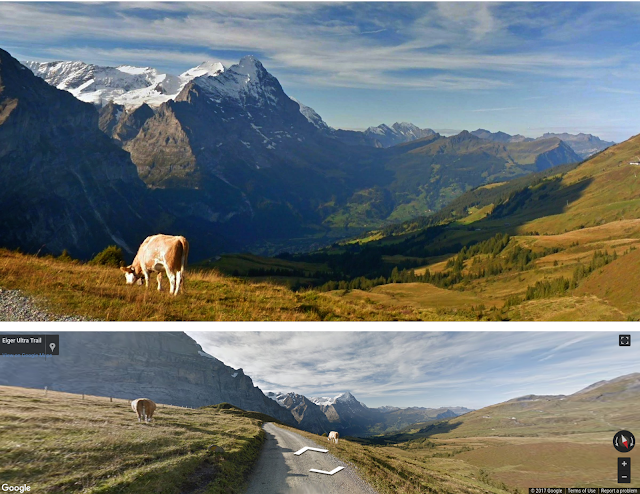 Google has already released several large scale datasets such as Open Images and YouTube-8M to further these goals. Furthermore, building a dataset of 300M images should not be a final goal - as a community, we should explore if models continue to improve in a meaningful way in the regime of even larger (1 billion+ image) datasets. This work would not have been possible without the significant efforts of the Image Understanding and Expander teams at Google who built the massive JFT dataset. We would specifically like to thank Tom Duerig, Neil Alldrin, Howard Zhou, Lu Chen, David Cai, Gal Chechik, Zheyun Feng, Xiangxin Zhu and Rahul Sukthankar for their help. Also big thanks to the VALE team for APIs and specifically, Jonathan Huang, George Papandreou, Liang-Chieh Chen and Kevin Murphy for helpful discussions.